Yida He was born in 1980 in Shanghai, China. She received her Bachelor of Fine Arts degree in 2007 from Chelsea College of Art and Design in London and currently lives and works in Shanghai. 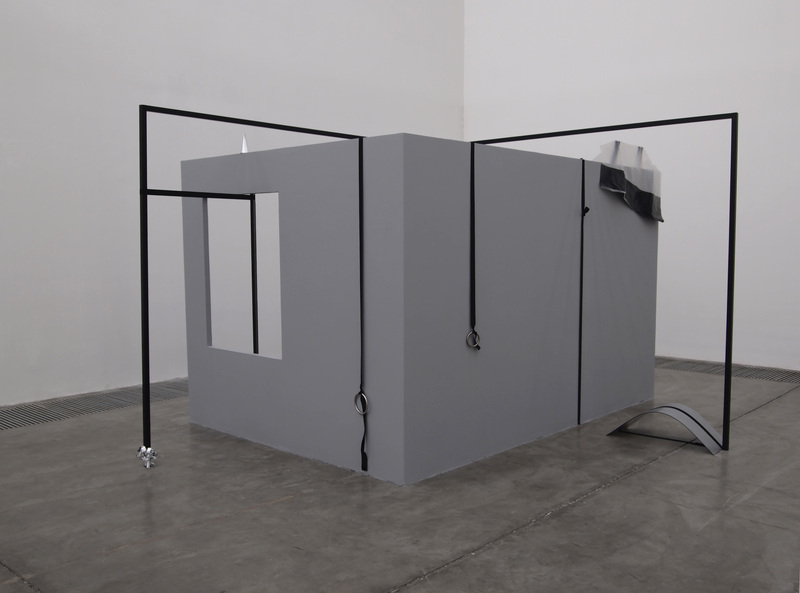 Her practice explores the potentiality of space, materials and the relationships between them. Spatial association and material characteristics often comprise the starting point for her work. Material and form have the ability to trigger psychological reactions and without physical contact, people feel the character of a material through everyday experience. Careful arrangements are assembled using hard, soft, fragile and/or stretchable elements to create unexpected details and visual traps. Dysfunctional daily objects and architectural structure are placed in relation to one another as a response to space. These pieces employ the language of sculpture to set up a palpable and ambiguous theater of objects. 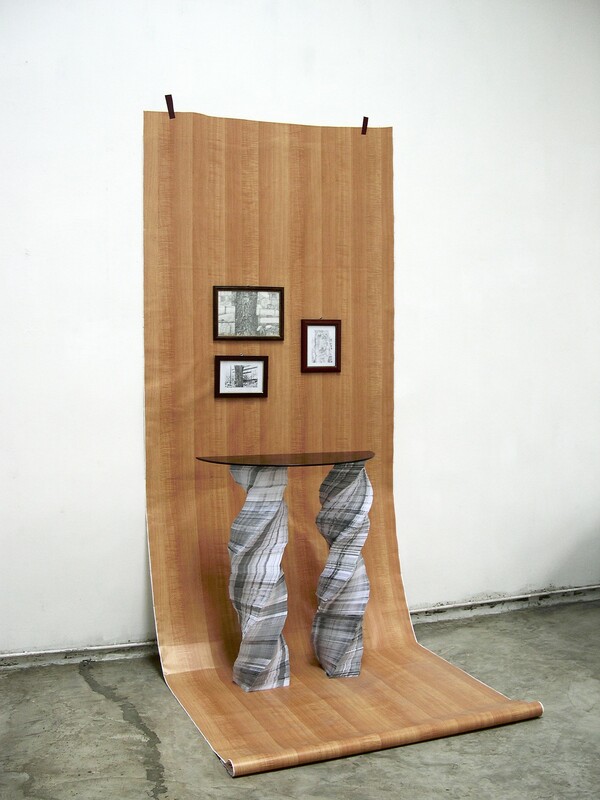 Yida He hopes to explore more potential of her art practice through doing the residency at studios das weisse haus. With different material available in Vienna, in different space, surrounded by local architecture and the communication and brain storm with the local artists, she hopes all these will enable her to develop her practice in a different stage, with the same curiosity, criticism and self-reflection, but to a higher level. Yida He is artist in residence of spring 2013 at studios das weisse haus. Yida He, born in 1980, Shanghai, CHINA. Lives and works in Shanghai. 2013: Works for Borro, Shanghai. 2012: Nomad Store, Isis Gallery, London; Get it Louder 2012, Sanlitun, Beijing; Sayizheng, Beijing. 2011: Monomer Aviation, 1918 Art Space, Shanghai; Follow, MOCA Shanghai, Shanghai; The Sound of nowhere, Beijing; Pattern of ‘Pattern–Vortex—Encounter’, Space Station, Beijing. 2010: Failure: Presentation and seminar, Beijing; At Second Sight: (Re)constructing Reality, Black Bridge off Space, Beijing; Dragon Fountain Bathhouse, Cao Chang Di, Beijing; Get it Loud, Sanlitun SOHO, Beijing; Asian Video Art, 3331 Art Chiyoda. program by Dislocate. Tokyo; Get it Loud (Shanghai Station), Shanghai. 2008: Hackney Wicked Festival, London; Not Too Far South (Goldsmith College MA Photography and Urban Culture Show), ATP gallery, London (as a curator). 2007: Chelsea Final Degree Show, London.